Abang is very much into football... representing GWPS. So far, Abang has played 4 weekly games. 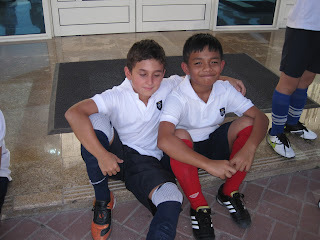 Finally, when playing at Deira International School, Abang had his first victory 5-1.. hoorey!! 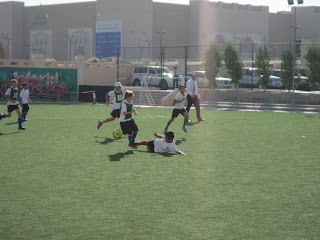 These are pictures taken by Papa when Abang was in action... gaya mesti ada! capub la danial stokin merah (capub=cari publisiti)..